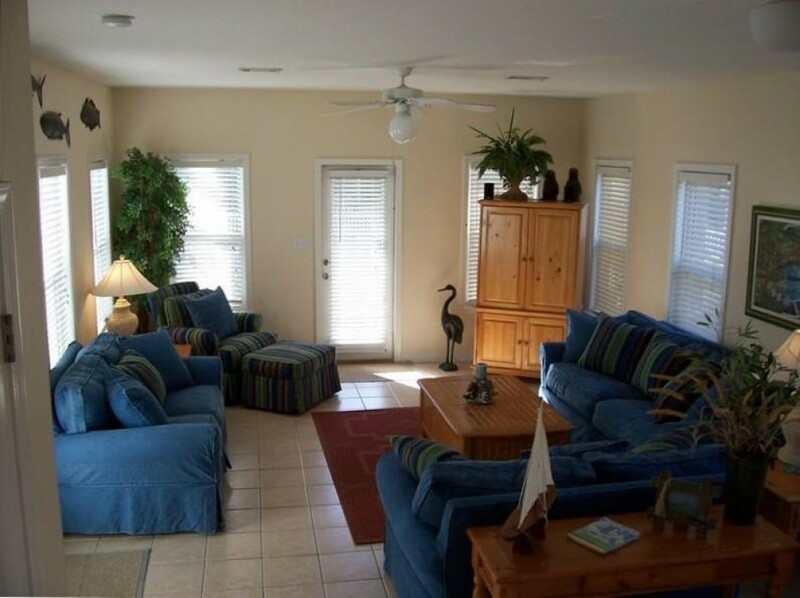 Located on Miramar Beach, near Destin and Seaside, this cottage community features a lovely pool. The "Hang Loose" cottage is beautifully decorated and is part of a very quaint community of 29 homes that maintains a degree of warmth and privacy. There are ten championship golf courses in the area. We are pet friendly! No Smoking. The first level features a kitchen, living room, dining room, and full bath as well as laundry facilities. The second level has three bedrooms (two with queen-size beds and one with two twin beds). The master bedroom has a private bath and there is a second bath serving the other bedrooms. The living room features a large television with home theater sound, VCR, CD, MP3 and DVD player, stereo, and a queen-size sleeper sofa. You will also have wireless broadband internet access...just bring your laptop. The third-floor tower room has a panoramic view of the Gulf. It also has a wet bar, refrigerator, and queen-size sofa bed. The perfect area for relaxing after a day at the beach or as a fourth bedroom. There is an outdoor shower to be used after visits to the beach or pool. Restaurants are nearby as well as retail and outlet shopping and other beach activities. The cottage has a covered car port with storage and two front porches. The porches are comfortable for relaxing or conversation areas.